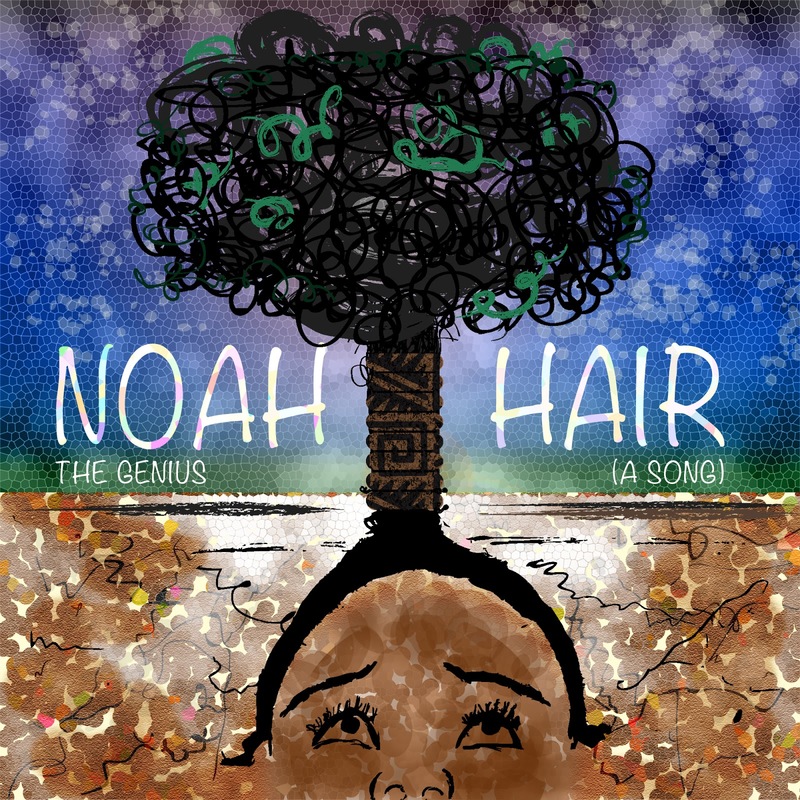 Please visit Noah For The People and Cartoon Lion Music Group. He and his label mates are taking a wholly new approach to sending goooood music out to the masses. This cover was sketched out on paper then "vectorized" (lols) in Adobe Illustrator. -It started out a tad differently. Noah wanted emphasis on natural hair, thus my concept of the head and hair roots being apart of the soil and the afro puff "tree" being above ground. The rest of the work was manifested in Photoshop (good ole' Photoshop)- where I plied it with several filtered layers. You can guess which at you leisure.